Ames chiropractor John Moore, DC at Ames Back and Neck Care Center is one of the best chiropractors in the Ames area specializing in chiropractic care and wellness. Dr. John Moore is a chiropractor committed to providing pain relief for many symptoms and conditions so that you can have a higher quality of life. Don't just take our word for it though; visit our testimonials page to see what our patients have to say. At our Ames chiropractic office you will receive the best care through the use of modern chiropractic techniques and technology. Dr. John Moore and the staff at Ames Back and Neck Care Center have a genuine concern for your well-being and health! Call us today and we can develop a chiropractic plan specific for you. To receive free wellness and health articles subscribe to our bi-weekly newsletter. If you are already a newsletter subscriber, please explore the member wellness section of our website for animated exercise videos, wellness articles, chiropractic resources, and health facts specifically targeted to your wellness needs and interests by Dr. John Moore. Dr. John Moore is a licensed Chiropractor serving the Ames community. Dr. John Moore has been freeing people from pain in the clinic in Ames, IA. 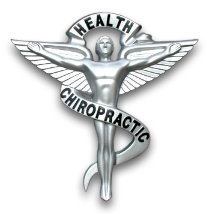 As a Chiropractor with experience, Dr. Moore is committed to promoting optimal health and well being of patients. "Dr. Moore does a great job seen him after a car wreck in October and he was able to get both me and my dad in right away and was willing to work with us on times that worked for us in clouding be for businesses hrs." "I've been to so many chiropractors, and this is the only place I've gone where my neck and my back have stayed in place after only two adjustments! Dr. John Moore it's professional, kind, and also one of the few doctors I've been to who isn't stuck up. Which is honestly very refreshing to me! I live 40 minutes away from Ames now, but no question about it, anytime I have neck or back trouble I'm coming back to Dr. Moore." "Best Chiropractor in Ames. Not only is he the best. He is very nice and easy to get along with."